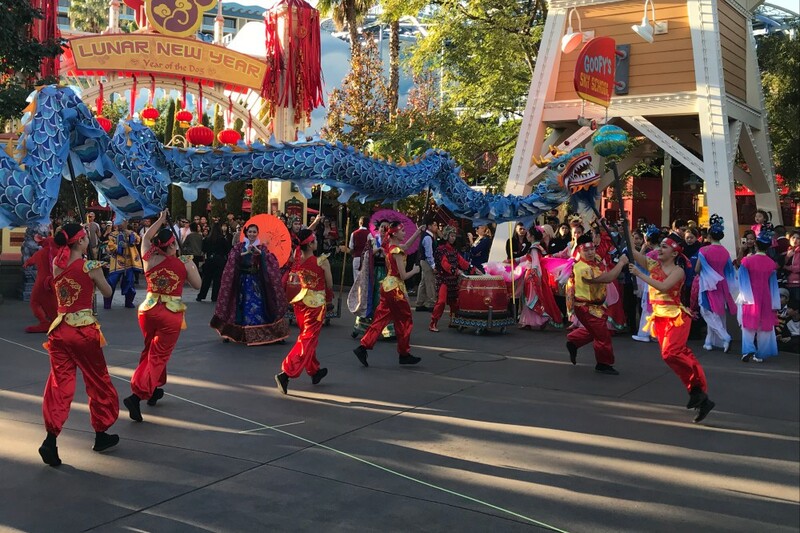 On Friday, Lunar New Year kicked off at Disney California Adventure! 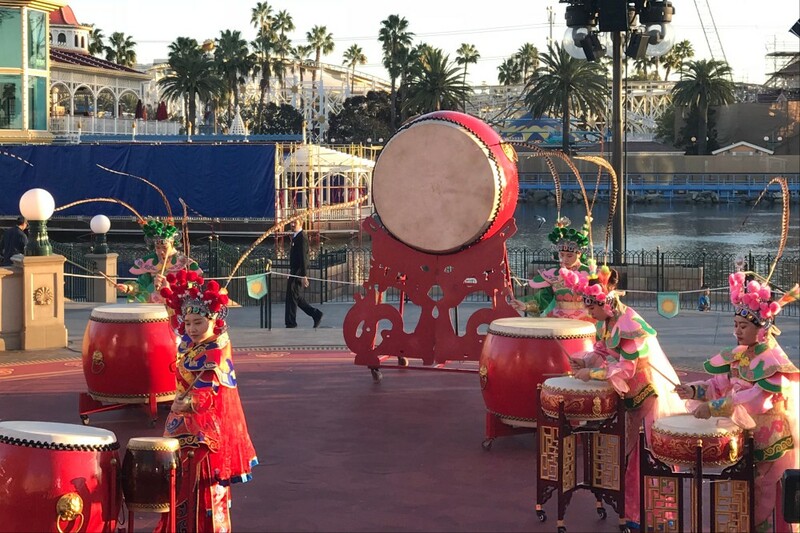 The celebration takes place in the northern part of a Paradise Pier, in what will soon be known as Paradise Park. 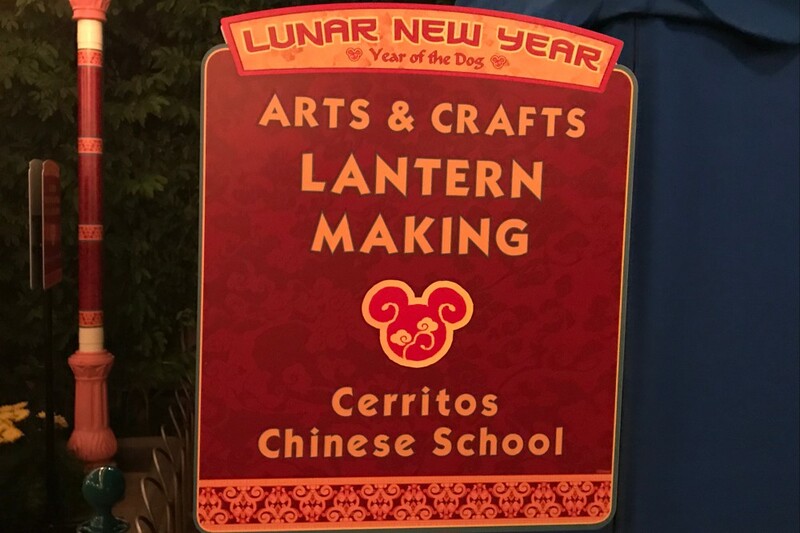 The Disneyland Resort was kind enough to host us and give us a taste (pun intended) of the food and entertainment being featured over the course of the festival. There are three food marketplaces in the area, each serving a different cuisine: Korean, Chinese and Vietnamese. 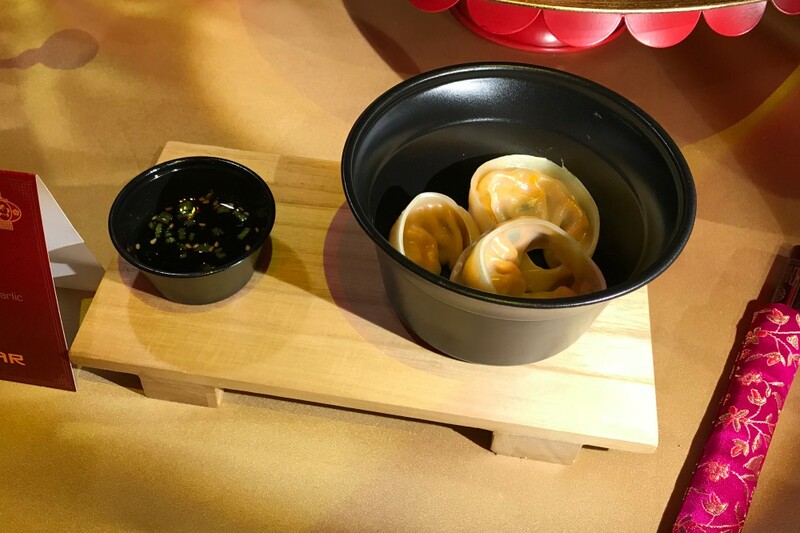 Our favorite item at the Korea Marketplace was the Yachae Mandu (steamed vegetable dumplings with sesame-garlic soy sauce). They had great flavor and the sauce was perfect for the dish. Less successful were the Kimchi Bokkeumbap (vegetable fried rice) and Yang Gaeng (sweet red bean and raspberry jelly. We had problems with the texture on both. 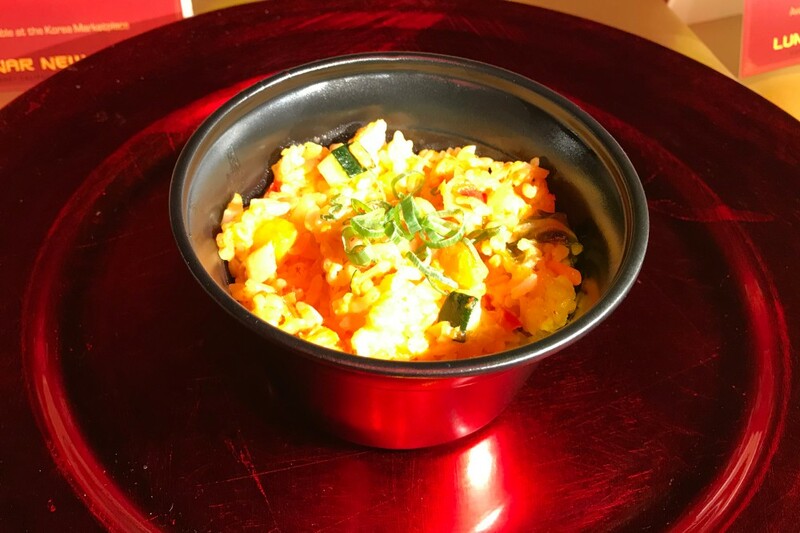 The rice was way more sticky than it needed to be and we found the jelly’s grainy texture to be off-putting. 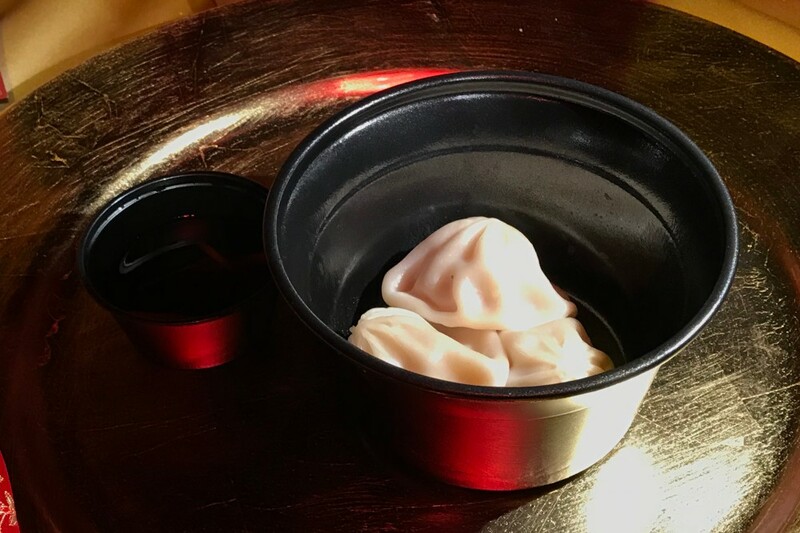 At the China Marketplace the fabulous Xiao Long Bao (pork soup dumplings with black vinegar and ginger) are back. The balance of the vinegary sauce and the savory dumplings makes this the best dish of the festival. 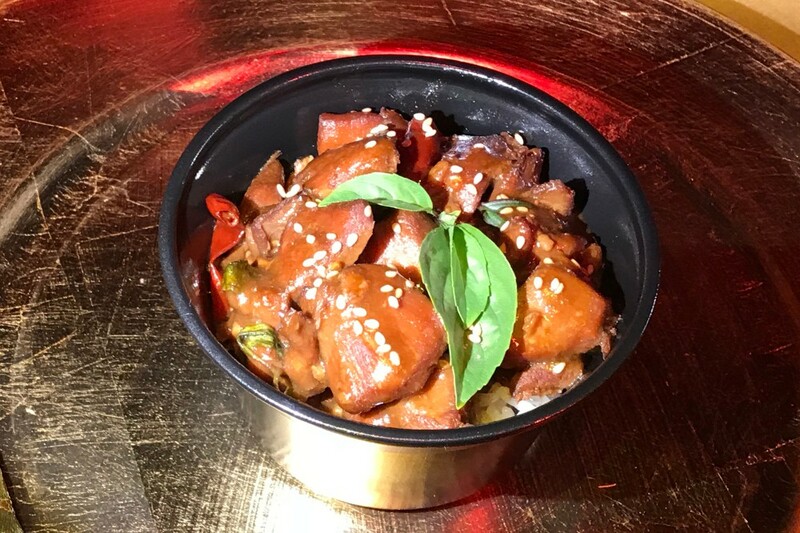 The Sanbeiji (three-cup chicken) was good, but not very interesting. It reminded me of a standard chicken and rice dish you can get at your local Chinese fast-food restaurant. 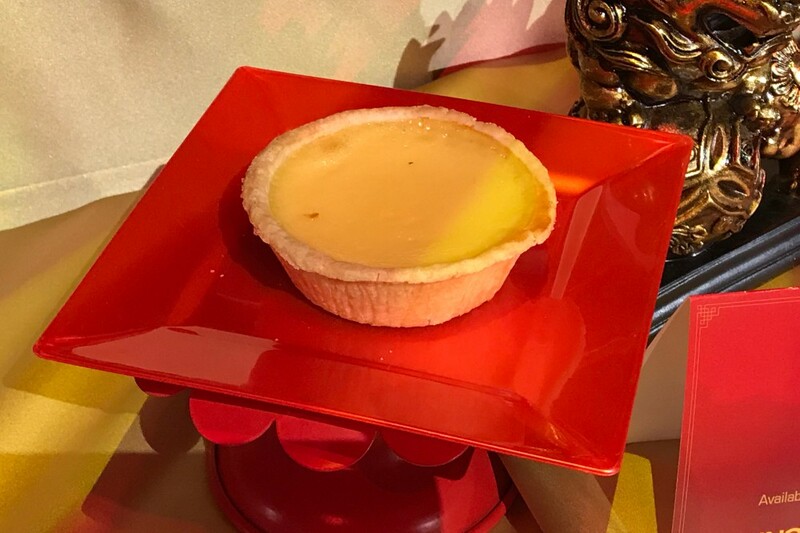 The Dan Ta (egg tart) is back as well and is a very nice dessert, especially if you enjoy custards. 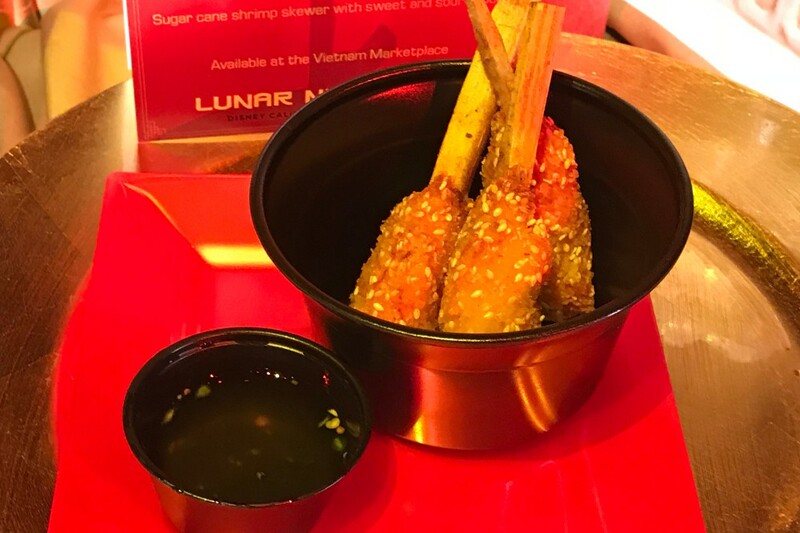 The Vietnam Marketplace featured the returning Chao Tom (sugar cane shrimp skewer with sweet & sour sauce). This was one of my least favorite dishes last year because I was expecting a full shrimp(s), instead of the chopped shrimp that the dish contains. With my expectations in check this year, I can honestly say that I really enjoyed this dish (three times). 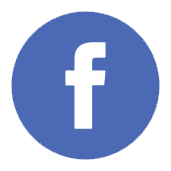 The skewer is seasoned very nicely, and the sauce works well with the skewer. 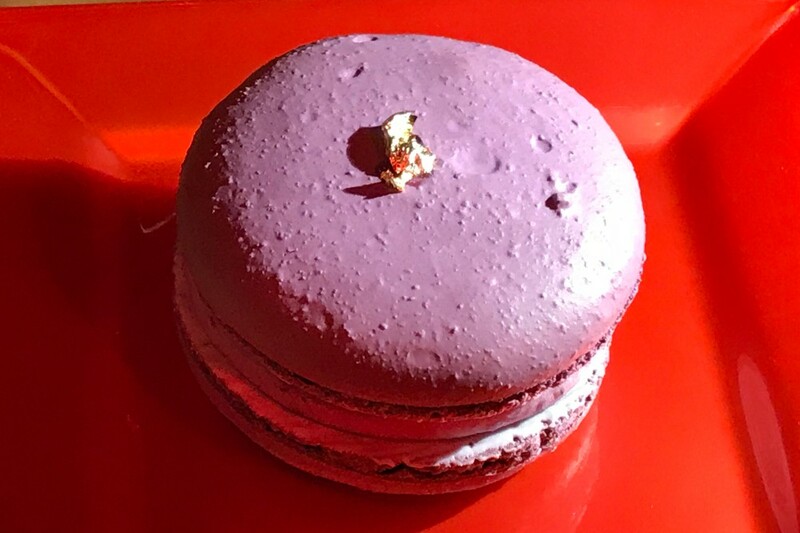 Don’t let the name or the color put you off to the Banh Khoai Lang Tim (purple sweet potato macaron). 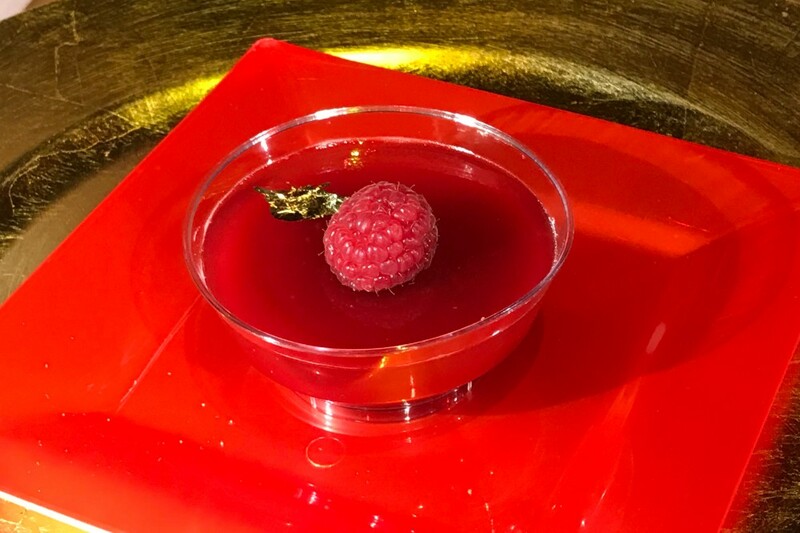 This dessert has the perfect amount of sweetness (even with the hidden jam inside), but it is still best shared with a friend. 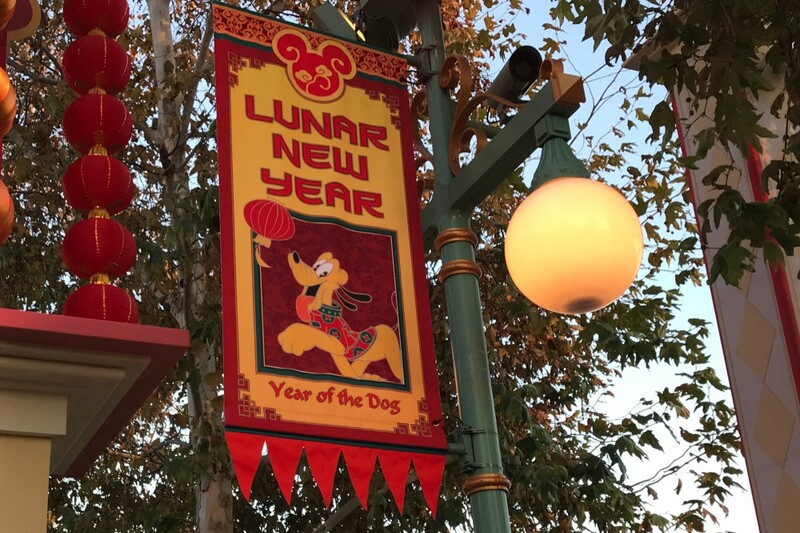 In addition to the marketplaces, the Paradise Garden Grill features a menu that highlights many Asian cultures. 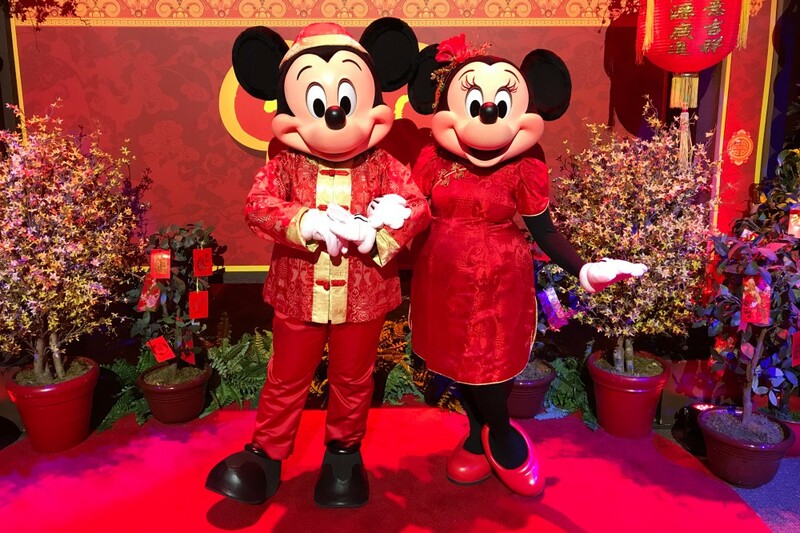 Near the Paradise Garden Grill, several characters are taking turns greeting guests, including Mulan, Mickey & Minnie, Chip ‘n Dale, and Pluto. 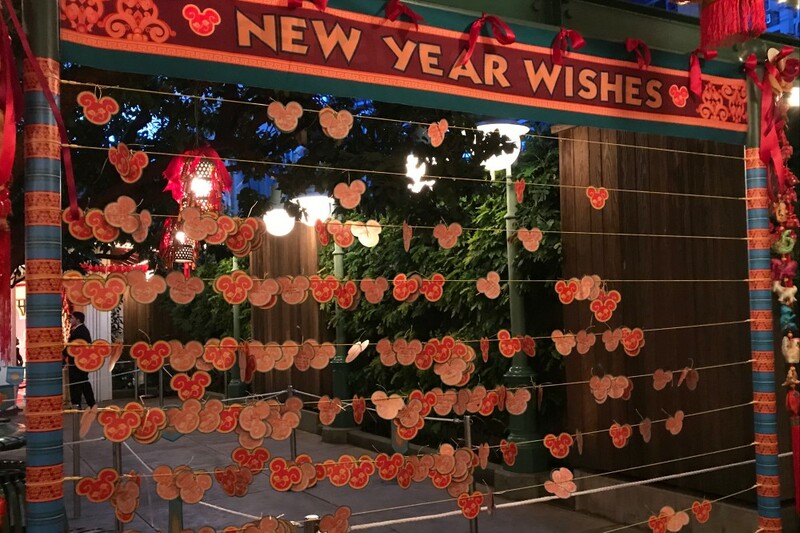 The area also features craft tables for younger guests and the Wishing Wall, where guests can write down their New Year’s Wishes. 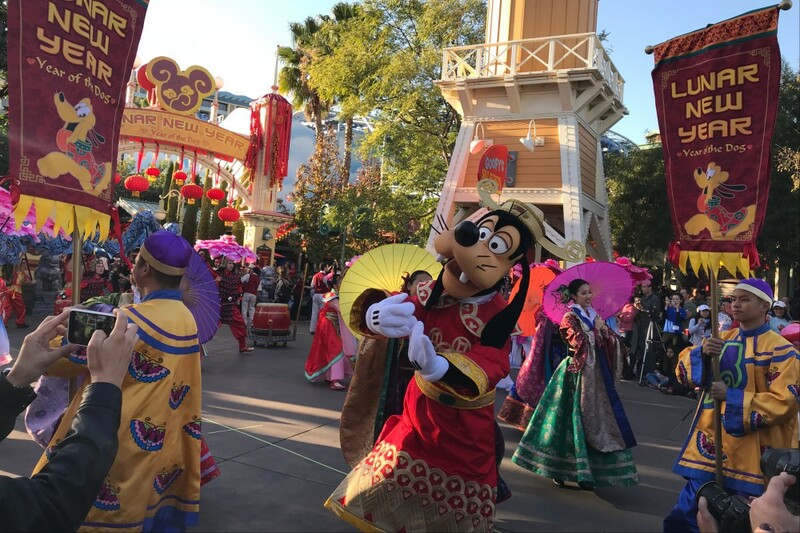 There is plenty of entertainment during the Lunar New Year celebration, including Mulan’s Lunar New Year Procession, which now features Goofy! 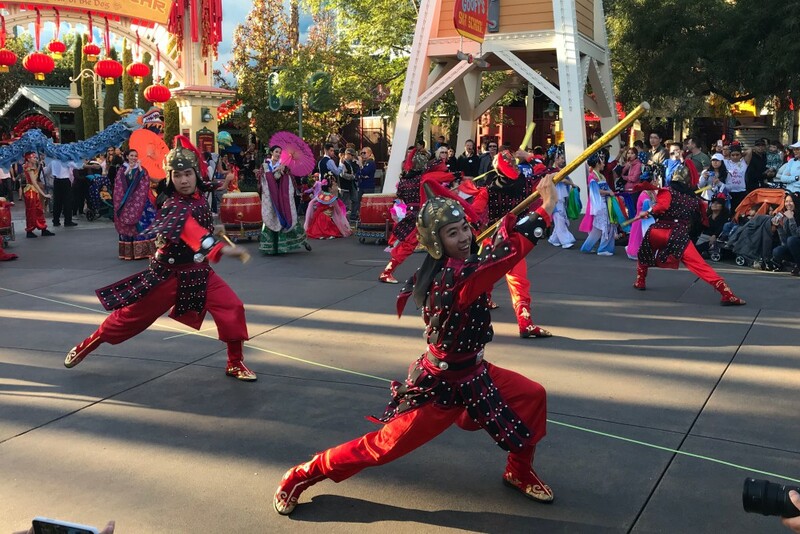 The party features several different acts that perform for Mulan and Mushu, including a traditional dragon and a show of martial arts. 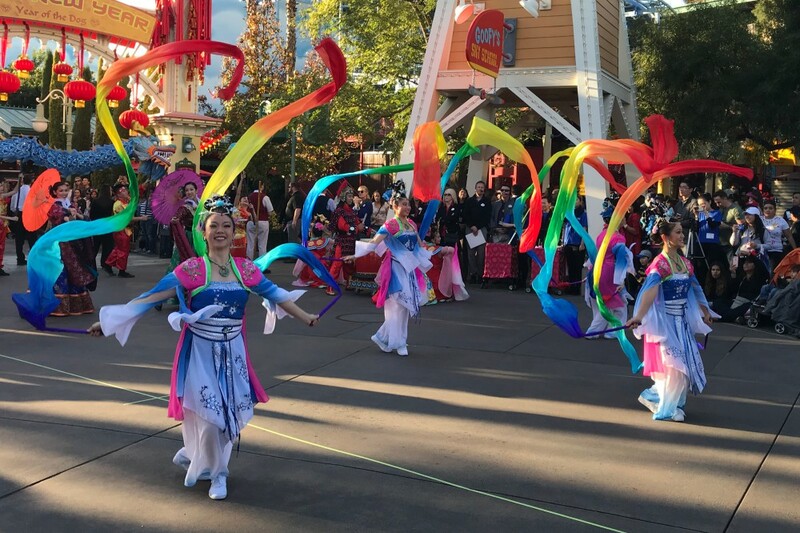 The procession happens several times a day in front of the entrance to Goofy’s Sky School and the Paradise Gardens area. 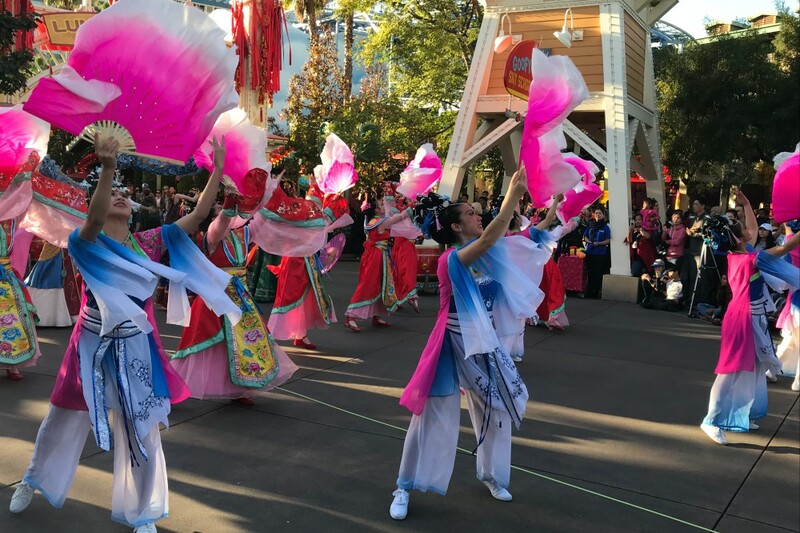 Entertainment also happens in Paradise Park (the center of the World of Color viewing area) and on the Paradise Garden Bandstand. 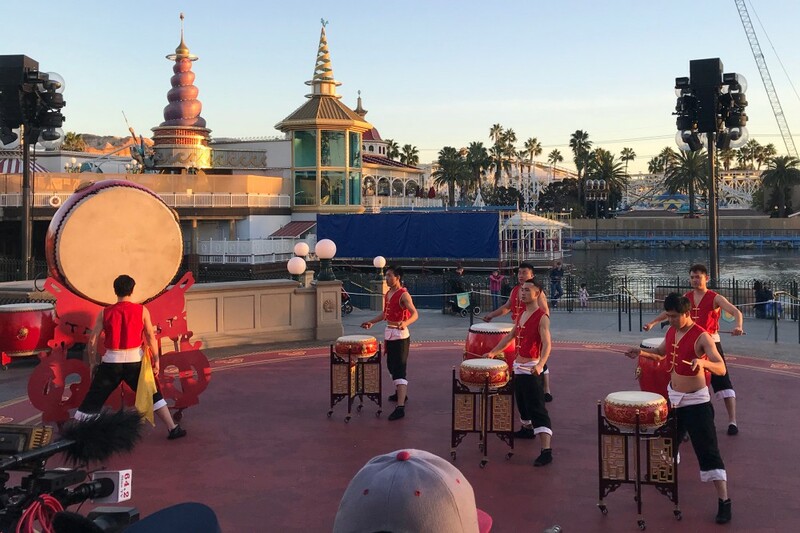 The GuGu Drum Group that we saw perform was very talented, but at 30 minutes, the show went on a bit long. 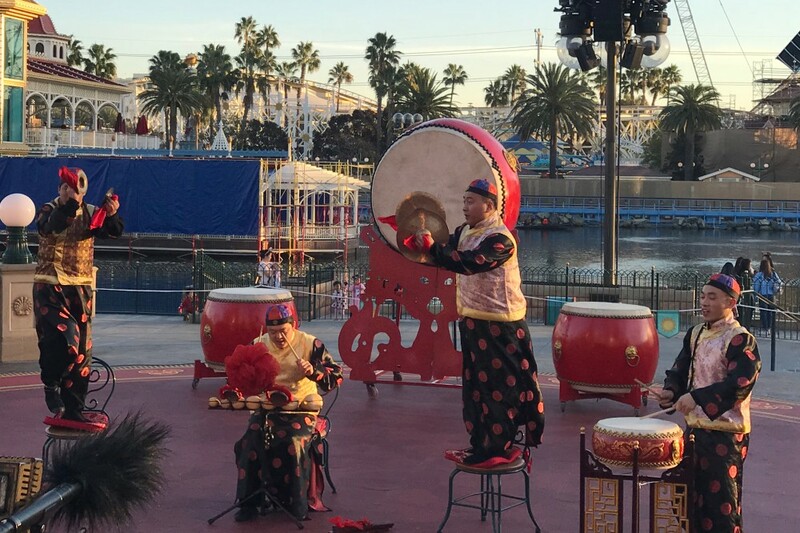 In addition to all of this entertainment, Hurry Home-Lunar New Year Celebration returns to Paradise Bay prior to each performance of World of Color. 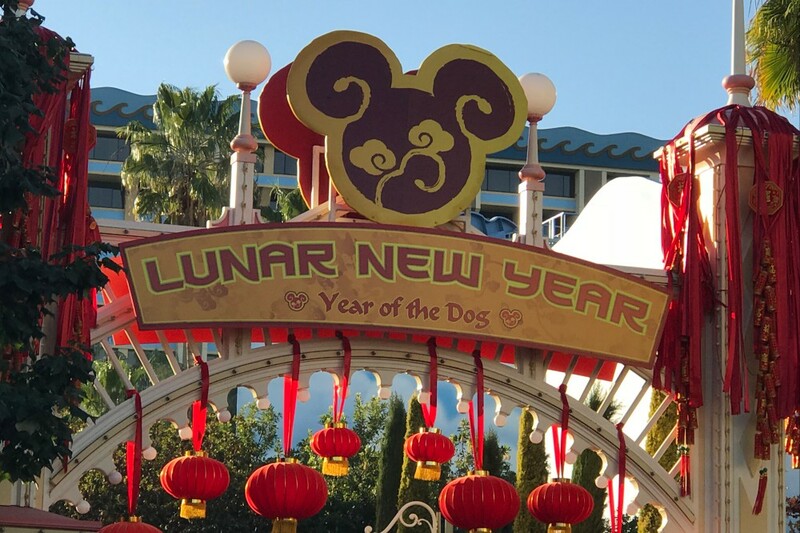 The merchandise available for this year’s Lunar New Year event has been expanded and features the expected hats, pins and headbands, plus snowglobes and traditional red envelopes. 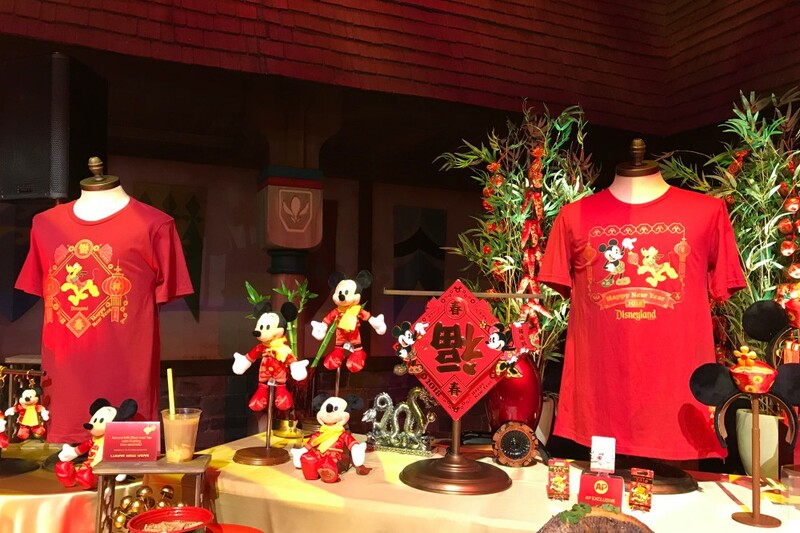 What is unexpected is a special Mickey Mouse plush that is only available at California Adventure and the Shanghai Disney Resort. 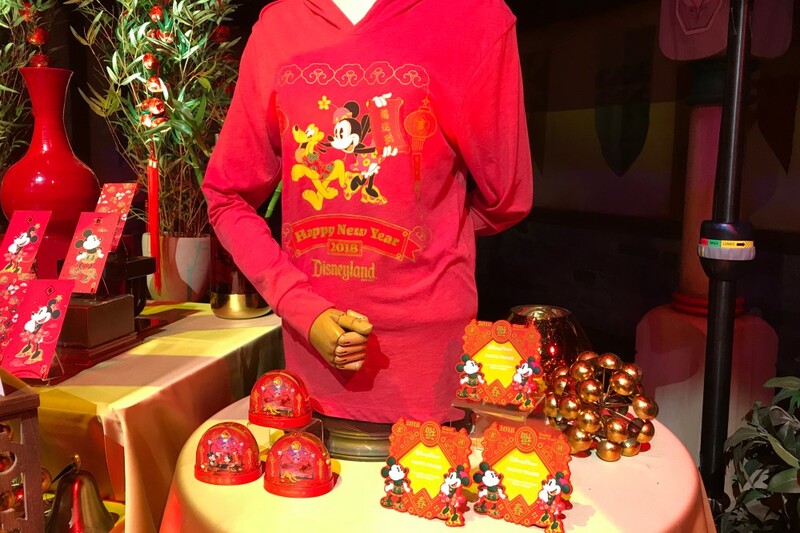 The merchandise is available at a cart near Seaside Souvenirs and at Elias & Co. on Buena Vista Street. 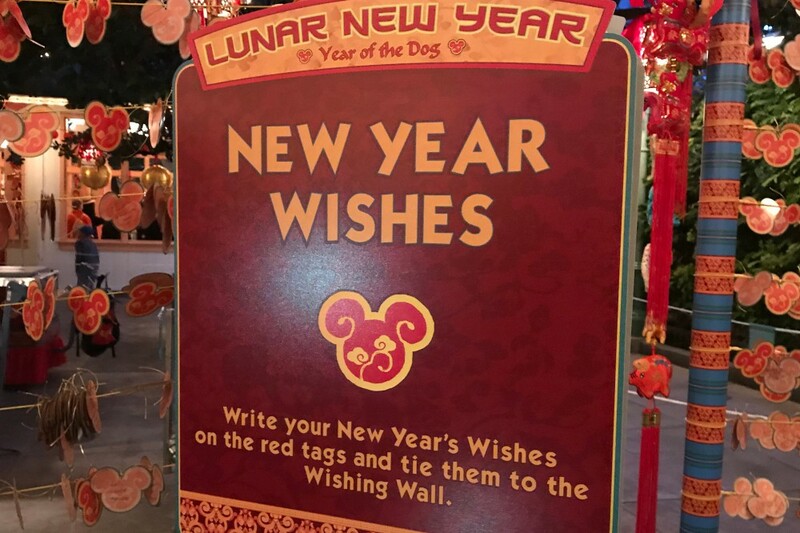 While we had a great time and got a taste of many of the items at the marketplaces, we still haven’t tackled the menu at Paradise Garden Grill, done any shopping, or added our wishes the the Wishing Wall, which means a return trip to the Lunar New Year celebration will be happening soon. 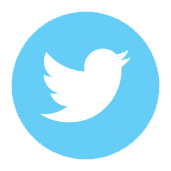 Lucky for us, the event has been expanded this year and will continue until February 18th!